A first edition benjamin hall design+build product. Hand-shaped from recycled steel, these clean, smart steel planters allow desert life to flourish in the most unexpected of places. Grouped together and placed on a table, shelf or countertop, the Tilted Trio Planters are undoubtedly a captivating conversation piece. 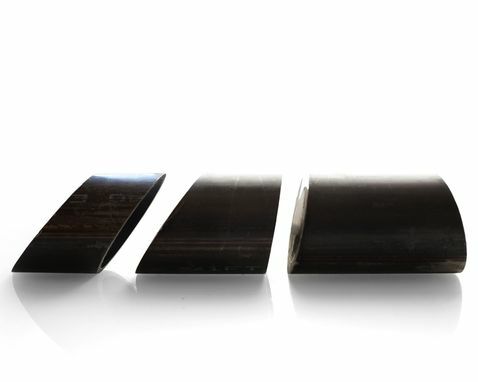 The "tilted trio" are designed with zero waste in the process. Like a puzzle you can stack these into a single object. 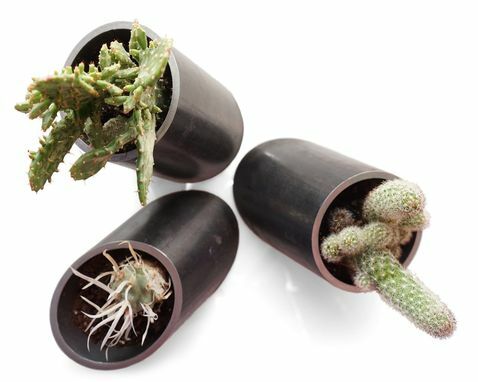 These planters are designed without drain holes. 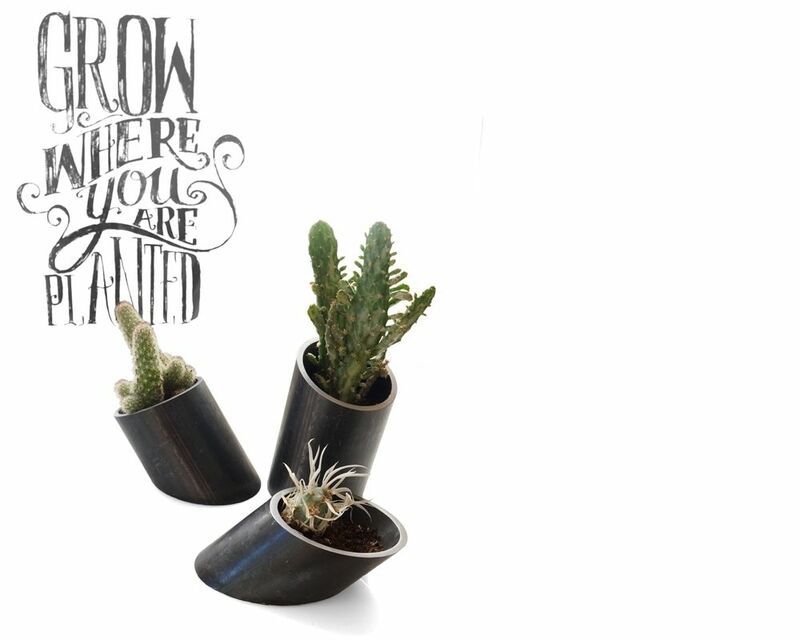 With that, cacti and other desert plant life are best suited for these planters. However, if a drain hole is desired, you may request one in each planter. 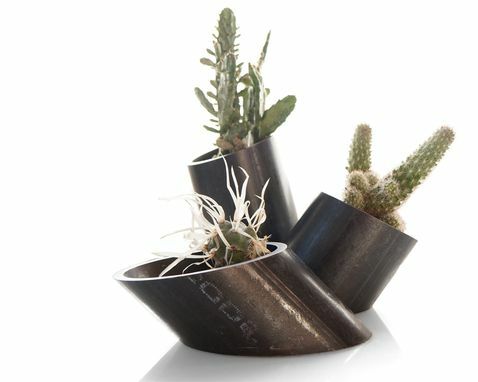 To ensure these pieces do not rust as you water your plants, the interiors are coated with a clear, waterproof sealant. 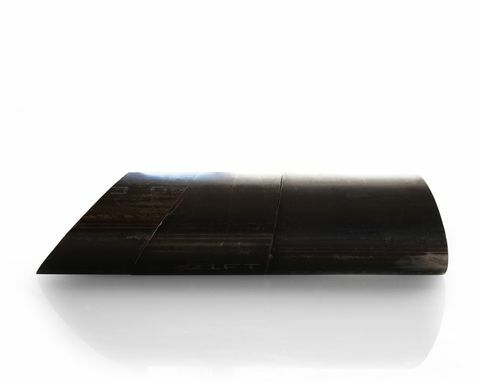 The exterior surfaces are left with the natural black mill finish and a clear wax coating to prevent rusting.